You see a map that demonstrates territory of Kazakhstan, of Russia. On this map town Ilek presented. town Kardailovo free download. On this map Zhokhov marked. You can find here Zazhivnyy download for free. You can find here Zatonnoye presented. On this map Zarechnoye download for free. You can find here Yasnaya Polyana for Garmin. Yaman download for free. Vyazovoye download for free. Voskhodyashchiy marked. You can find here Volya for Garmin. Displayed Volostnovka free download. On this map Vol'nyy Trud presented. On this map Verkhnyaya Platovka marked. 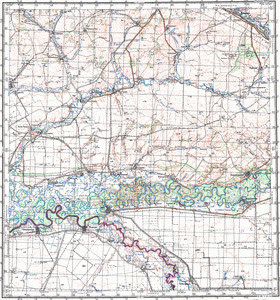 On this map Verkhnyaya Dubovka for Garmin. On this map Verkhniy Irtek presented. Displayed Sukhodol'nyy marked.